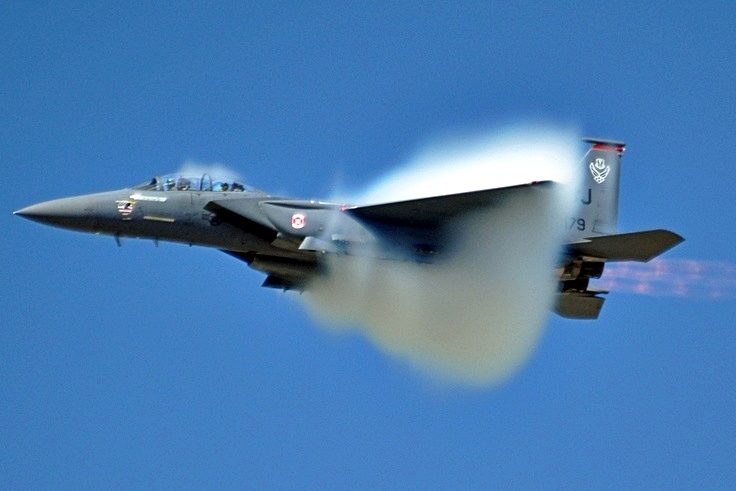 A pair of USAF F-15s flew at supersonic speed to intercept an unresponsive general aviation aircraft near Palm Beach. A pair of US Air Force F-15s, under the direction of North American Aerospace Defense Command (NORAD), intercepted an unresponsive general aviation aircraft near the Palm Beach, Fla., area at approximately 7 p.m. EST. The intercept required the Air Force F-15s from Homestead Air National Guard Base to travel at supersonic speeds, a sound noticed by area residents, to get to the general aviation aircraft where they were able to establish communications. The intent of military intercepts is to have the identified aircraft re-establish communications with local FAA air traffic controllers and instruct the pilot to follow air traffic controllers’ instructions to land safely for follow-on action. NORAD's mission – in close collaboration with homeland defense, security, and law enforcement partners – is to prevent air attacks against North America, safeguard the sovereign airspaces of the United States and Canada by responding to unknown, unwanted and unauthorized air activity approaching and operating within these airspaces, and provide aerospace and maritime warning for North America. NORAD may be required to monitor, shadow, divert from flight path, direct to land and/or destroy platforms deemed a potential threat to North America.